The deadline for IRA contributions is the same as the federal tax filing deadline. The end of the calendar year signals the last opportunity for making most tax-deductible expenses, but it doesn't mean the end of your opportunity to contribute to an individual retirement account. If you're looking for an extra expense to lower your taxes, an IRA contribution might be your best option. 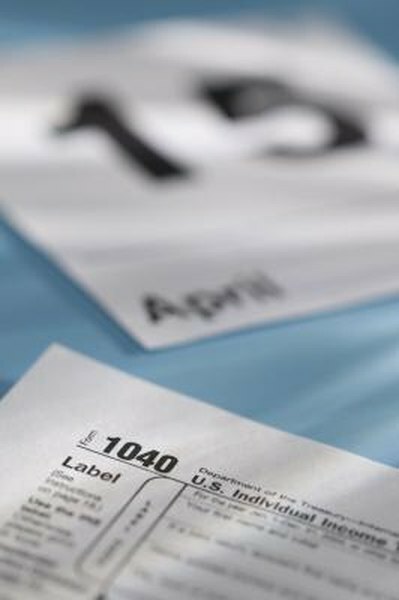 The contribution deadline is the tax filing deadline for the year, typically April 15. If the tax filing deadline is pushed back because April 15 falls on a weekend or a holiday, the deadline for IRA contributions is pushed back as well. If you apply for an extension on your tax filing, the IRA contribution deadline is not extended; you still have to get it in by the original tax filing deadline. When a financial institution receives an IRA contribution between the start of a year and the tax filing deadline, the Internal Revenue Service allows it to assume that you intend the contribution for the current calendar year. Therefore, when you make a contribution during that window of time, tell the bank specifically if you want the contribution to be for the prior year. For example, if you made a contribution in March 2013, your financial institution would assume it's for the 2013 tax year unless you specified that it should count for 2012. You don't have to wait until you've made your IRA contribution for the year to file your income taxes. As long as you make the contribution before your tax filing deadline, you can claim your contributions on your taxes. For example, if you're going to use money you won't receive until March to make your contribution, you can still file your taxes, claiming a deduction for the contribution before the contribution is actually made. If you make a contribution after the deadline for contributing, it will count for the next tax filing year. You're not allowed to use a contribution made after the deadline to count for a prior year, even if you didn't maximize your contribution for that prior year. For example, say that your contribution limit for 2012 was $5,000. If you missed the deadline of April 15, 2013, and put $5,000 in as a contribution during May 2013, that $5,000 would count toward your 2013 contribution limit. You would not be allowed to count it against the 2012 limit, even if you didn't contribute anything for 2012. How Much of My IRA Investment Can I Deduct From Taxes?